At present, scientists use seismic waves from a rupture to work out the scale of the event. London: Scientists have developed a new gravity-based approach to quickly estimate the magnitude of very large earthquakes. However, a new analysis of the 2011 Tohoku earthquake in Japan by researchers from Paris Diderot University in France and California Institute of Technology in the US shows that changes in gravity can give more rapid information. 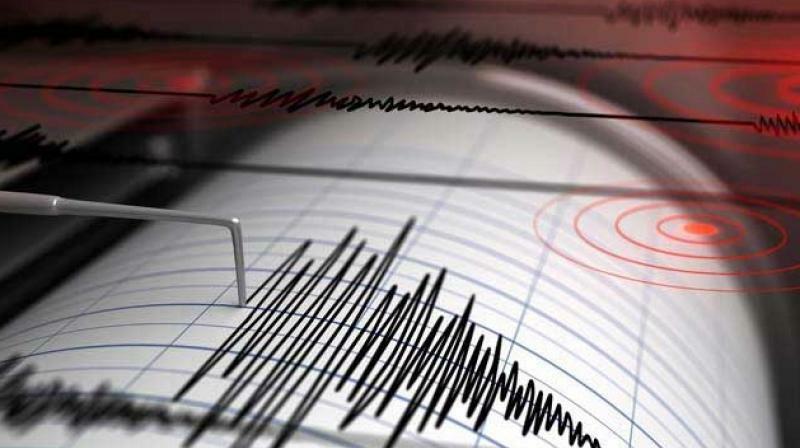 After an earthquake, there is an instantaneous gravitational disturbance that could be recorded before the seismic waves that seismologists can detect. This method could have accurately estimated that magnitude 9 tremor in minutes and not the hours it actually took. As Japan's largest recorded earthquake, the Tohoku earthquake is probably best remembered for the huge tsunami it unleashed. As well as killing around 12,000 people it triggered the meltdown of three nuclear reactors at the Fukushima Daiichi power plant. In a study published in the journal Science, researchers have managed to observe these weak signals related to gravity and to understand where they come from. Since they are sensitive to the magnitude of earthquakes, these signals may play an important role in the early identification of the occurrence of a major earthquake. Earthquakes brutally change the equilibrium of forces on Earth and emit seismic waves whose consequences can be devastating. However, these same waves also disturb the Earth's field of gravity, which produces a different signal. This is particularly interesting with a view to fast quantification of tremors, because it moves at the speed of light and unlike tremor waves, which propagate at speeds between three and 10 kilometres per second, researchers said. Seismometers at a station located 1,000 km from the epicentre may potentially detect this signal more than two minutes before the seismic waves arrive, they said. First, the scientists observed these signals on the data from about 10 seismometers located between 500 and 3,000 km from the epicentre of the 2011 Japanese earthquake (magnitude 9.1). The researchers then demonstrated that these signals were due to two effects. The first is the gravity change that occurs at the location of the seismometer, which changes the equilibrium position of the instrument's mass. The second effect, which is indirect, is due to the gravity change everywhere on Earth, which disturbs the equilibrium of the forces and produces new seismic waves that will reach the seismometer. Taking account of these two effects, the researchers have shown that this gravity-related signal is very sensitive to the earthquake's magnitude, which makes it a good candidate for rapidly quantifying the magnitude of strong earthquakes. The future challenge is to exploit this signal for magnitudes below about eight to 8.5 because, below this threshold, the signal is too weak relative to the seismic noise emitted naturally by Earth, and dissociating it from this noise is complicated, researchers said.